The Alvin Draf-Tec Retrac Mechanical Pencil, with its unique retractable point system, is a superior quality mechanical pencil for professionals and non-professionals alike. It features a push-button lead advance and a durable plastic barrel. With its rubberized finger grip, it ensures non-slip use and total writing control. 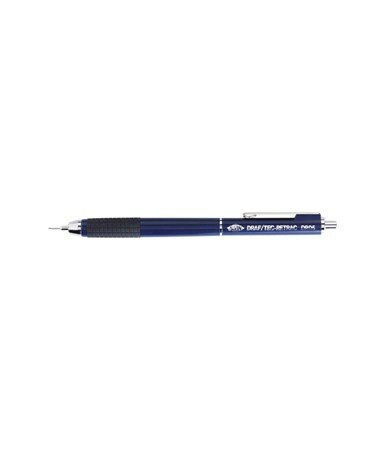 This retractable mechanical pencil is equipped with a four-millimeter long lead sleeve that provides support to its lead and allows accurate and precise drawing even when using thick straightedges. It comes with a built-in refillable eraser located under its cap. Pre-loaded with an HB degree replaceable lead, it is readily usable. Offering three different lead sizes, the Alvin Draf-Tec Retrac Mechanical Pencil accommodates most drawing and drafting needs. Available lead sizes are 0.3-millimeter, 0.5-millimeter, and 0.7-millimeter. It is sold individually, in a set of three, or in a 5"W x 10"H x 5"L display that contains 48 assorted pencils. 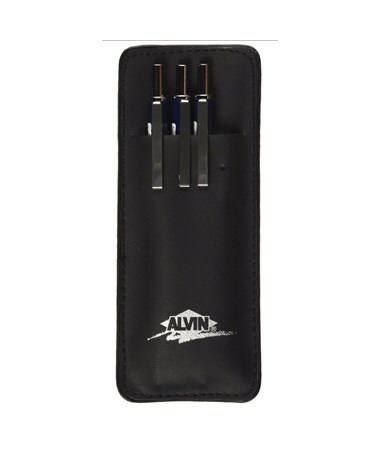 The Alvin Draf-Tec Retrac Mechanical Pencil comes in three diffrent lead sizes and package options. Please select your preference from the menu above. 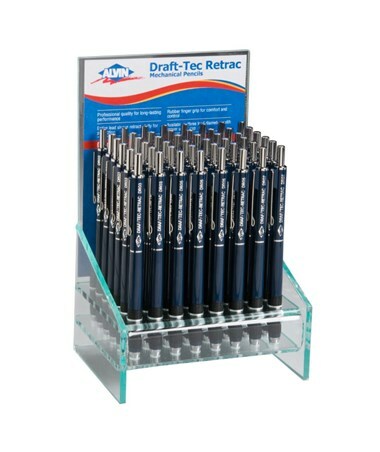 This package includes: 3 Draf-Tec Retrac Mechanical Pencils (0.3mm, 0.5mm, and 0.7mm). 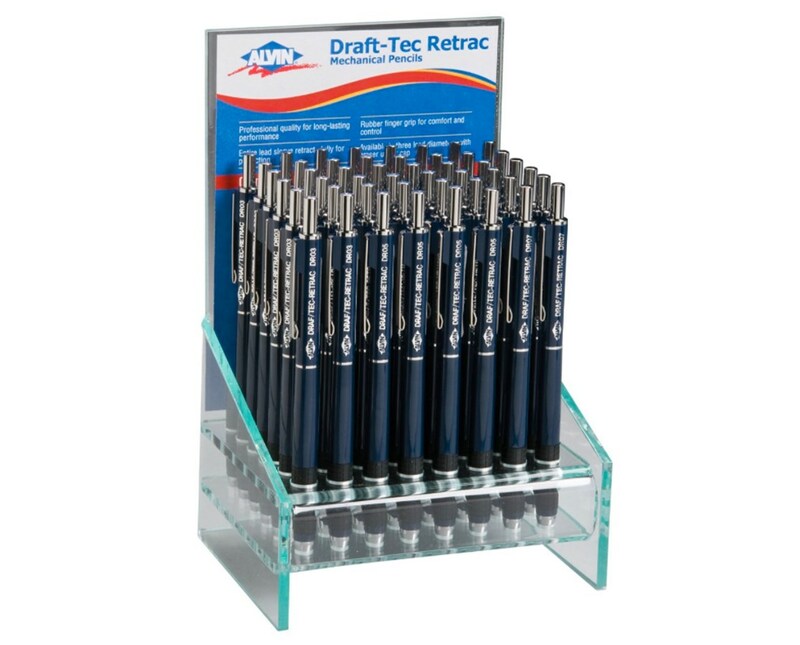 This package includes: 12 Draf-Tec Retrac Mechanical Pencils 0.3mm, 24 Draf-Tec Retrac Mechanical Pencils 0.5mm, 12 Draf-Tec Retrac Mechanical Pencils 0.7mm, and a display rack.